The return to the CD racks of Mass brings back into the spotlight one of the seminal acts in the development of heavy metal and melodic hard rock. Back in the '80s the band of Boston-based Roman Catholics recorded groundbreaking music with A&M and RCA Records but much was unreleased due to management wrangles and it's taken the sterling efforts of Retroactive Records to rescue their classic material from the archives. And the band's 2010 album 'Sea Of Black' has been widely acclaimed as the band's best ever. The band will be going back into the studio this autumn to followup the success of 'Sea Of Black' and a world tour is planned for 2012. During a break from his busy schedule Louis St August, the lead singer and founder of Mass, filled Cross Rhythms in on the band's long and intriguing history. "After performing and jamming with several local musicians in my area during my high school years from 1976 to 1980 I formed Mass in the summer of 1981, consisting of me on vocals, Gene D'Itria on guitar, Joey Vadala - drums and Kevin Varrio - bass. After 30 years of rocking all band members are still intact except for Kevin Varrio who left the band in 1992 due to personal issues. He was replaced by our current bassist Michael Palumbo who is now considered an original member by us and the fans. Our main collective purpose when we first started out was to have fun and express ourselves through our music that was burning in our hearts from a very early age. It's amazing Mass in 2011 still has the burning passion and love for what we do even stronger today!" 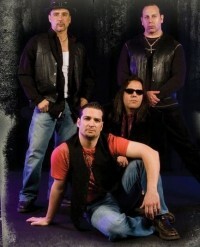 Mass' powerful blend of power pop styled metal gained them an instant following with young audiences and quickly the band were one of the most popular unsigned acts in Boston. But then things began to go wrong for Mass, as Louis recounted. "In late 1981 we signed a management (and several other contracts) with a person who put stars in our eyes and promised us the world. We were young and naive and signed our life away. We ended up doing a demo tape that was sent out to several record labels. Showcases for the band ensued soon after and a bidding war was on. We signed with A&M Records in 1982 and flew to Florida to record our very first album. During our recording sessions there were many conflicts between our manager and the label. A&M had enough of his sneaky tactics and gave us an ultimatum - get new management or they would not release our record. The band members were not getting along with him as well and while his true colours were showing we knew we had to make a change. Later on we did learn that he somehow managed to steal $80,000 of the bands $175,000 recording budget we had landed. "When we finished the recordings in Florida we flew back home to Boston and sought out legal advice. It took us nearly two and half years to rid ourselves from the management contracts which took us through several court proceedings and days of arbitration only to be resolved by the band filing Chapter 11 Bankruptcy in late 1984. Meanwhile A&M shelved the album and simply lost interest in the band since the legal process took so long. We didn't blame them and just decided it was better for all involved to just move on. We signed with a new management team and recorded a four-song EP simply called 'Mass' in late 1984. The EP sold over 10,000 copies in the first few months alone and now we had all the major labels interested in us again. We then signed with RCA in 1985 and released our first major label debut 'New Birth'." 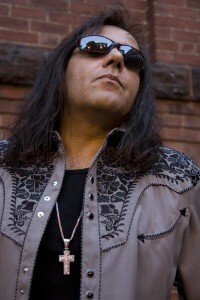 'New Birth' was produced by Tony Platt, who had worked with acts like Uriah Heep, AC/DC and Motorhead, and featured gems like "Too Far Gone" and "Crying Alone" both with some smoking guitar and "Do You Love Me", which when released as a single was a hit on many East Coast radio stations with the video getting plenty of play on MTV. Yet despite 'New Birth' selling over 100,000 copies there was to be no followup from RCA. Louis explained, "Before we were able to record a second album for RCA the label was bought out by the GE Company and all the people that were behind us at the label were removed for a new staff team. Our new management thought it was best for us to take the buyout they were offering and move on. And so we did." Louis is philosophic about Mass' less than satisfactory dealings with the music multi-nationals. "When we were signed to the bigger labels like A&M and RCA they treated the band very well and we loved being on those labels. It was just unfortunate that we weren't able to stay at one label for a significant amount of time to establish a good solid foundation with them. We simply ran into situations that were totally out of our control." Enigma Records, the independent label who hit big with Stryper, were the next label to record Mass, Enigma's Medusa label releasing the EP 'Take You Home' in 1988 and Enigma issuing 'Voices In The Night' in 1989. Both were produced by Stryper's frontman Michael Sweet. Louis recalled the band's time with Enigma. "Michael Sweet really took a liking to the band right after our first performances together with Stryper here on the East Coast. He immediately called up his label and told them 'you have to come to Boston and see these guys'. So in early 1987 Wes Heins (president of Enigma) flew out to Boston, caught a live Mass show and a week later we signed our third record contract. We connected instantly with Michael. He knew we were not a Christian band from the start but a group of down to earth Italian American Catholics that wrote and sang uplifting positive rock music. We have always believed in God and his son Jesus but I chose to sprinkle in our beliefs here and there lyrically in a few of our songs subtly over the years. "When it came time to record our full length album for Enigma in 1988 in order for us to save money on the recording budget Michael and his then wife Kyle (RIP) invited us to stay and live in their home. We ended up living with Michael and Kyle for close to two months while Michael produced our 'Voices In The Night' album. Today with both our busy schedules we still try to stay in contact somewhat and usually know what the other is doing. Michael was also involved on two songs on our 2007 release 'Crack Of Dawn' ('It's You' and 'Empty Soul'). And just recently Mass and Stryper performed together again on March 26, 2011 to a sold out show in Foxboro, Massachusetts. We also just attended the Station Fund Final Dinner Benefit together last week and our wives are planning a private dinner get together at my home soon as well." After Enigma folded Mass experienced some difficult years. As Louis explained, "When the grunge music scene came in it was a tough time to be in an '80s band, hair metal band or whatever you want to call it, although I really don't like putting a label on our type/style of music - to me it's just great melodic rock, period. After performing many shows on the East and West Coasts with acts like Winger, Cheap Trick, Stryper, etc, Kevin our bassist decided to leave the band in 1992 due to personal reasons. So we took a break to re-evaluate our situation and soon afterwards we started auditioning for a new bass player. This took about a year and a half to find the right person and then we started experimenting with writing music in a new modern style and even changed the name of the band briefly to MotherTrain. This lasted about seven to eight months when we realised the music we were trying to create was not the music that we loved and came naturally from our hearts. "We shelved the demos we recorded and went back into the studio as Mass. We record a few new songs and put out a Mass 'Best Ones' CD in 2000. We continued to perform locally here on the East Coast and appeared on numerous CD compilations over the years. In 2006 with no American label interest we started looking overseas for a deal. With four labels interested in our demo the band eventually signed with European label Escape Music Ltd (London) in late 2006. We signed a five year, three album deal with 2007's 'Crack Of Dawn' being the first release. The album was well received and re-emerged the band back onto the scene and excited old fans and gained us a lot of new fans. 2010 brought us our busiest and most productive year ever! With the release of 'Sea Of Black' on Escape Music (our second release with them) hundreds of great reviews were written with music critics and fans alike calling it our best record yet and possibly the best melodic rock album of the year." Also in 2010 Christian re-issue specialist Retroactive Records carried out a great service to Mass followers, rescuing key early material. Pride of place went to Mass' 'Fighter' album, the project recorded yet unreleased by A&M back in 1982. Produced by Tom Allom (Judas Priest, Black Sabbath) it was described by the nolifetilmetal website as "a majestic, classic 1980's heavy metal platter." Another CD, '84 Unchained', featured the four tracks originally released in 1984 as the 'Mass' EP together with a bonus track, "Bones". Finally, Retroactive's re-issue of Mass' 'New Birth' contained all 10 tracks originally released in 1985 by RCA along with the bonus track "Endless Thoughts". Said Louis about the re-issues, "We, along with the fans, were very happy that these albums eventually saw the light of day." Another surprise Mass release at the end of 2010 was a two-song 'A Very Merry X-Mass' with the band doing a metallic version of "Jingle Bell Rock" and the ballad "Grown Up Christmas List". Said Louis, "The CD sold out three times within four weeks with all proceeds going to the Toys For Tots charity. We were only too happy to help out with the thousands of toys that were purchased from the proceeds that were dropped off at various Toys For Tots locations throughout the New England area. I believe we made a lot of children's Christmases a little bit brighter last year." Talking about Mass today Louis said, "I think our music has stayed pretty much consistent with how we wrote and sounded back in the '80s. I think we are much better and more mature artists now. We are always getting emails or messages from fans around the world thanking us for not straying musically and staying true to roots of pure melodic hard rock. My hope is that God continues to give me the passion and talent to do the things I truly love to do - create and perform music." I have followed the band since my very first concert in 1985 when MASS opened for Stryper at EM Loews in Worcester, MA. MASS never ceases to amaze me with each and every new album they release. Every album is full of great music without the fillers. However, you need to see the band live to truely hear the way the music was intended. Their raw energy and sound that comes off the stage is like no other. I'm looking forward to the follow up of "Sea Of Black" which should be another "feather" in the bands cap because they certainly have been on a roll of sorts in 2011. Mass have stuck it out and stayed true to themselves while hundreds of other bands haven given up and/or changed they style. MASS is great band, but more importatntly, they are a great bunch of guys! Looking forward to the future music and thank you! mass is truely a great talented melodic rock band i followed from the beginning... when i got the new birth album, i thought "wow, this might just be the very best album i ever bought". and i bought plenty of rock/metal albums. i think sea of black is a great album, heavy melodic rhythms. I wait and i wait for mass to work their way sound from the new england states.... i would definitely go see them if them performed in pennsylvania.... great band!!!!! 'Crack of Dawn' and 'Sea of Black' are two of the best melodic rock albums of the past few years in my opinion!!! I have one thing to add and that is MASS TO THE UK!!!! This band deserve the chance to play in the UK and Europe so any of those running the Festivals like Firefest etc or any promoters reading this take note and get these guys booked!!!!! !